Mino Abadier certainly is that new breed of young, talented and up-and-coming DJ from Amsterdam. Despite his age he pretty much operates on his own terms, in his own world. Mino Abadier is a hugely versatile DJ that can wave together house and techno or Afro and disco just as ably. His selections are made with a palpable passion and cover a cultured cross section of essentials from house and disco to techno and Arabic sounds. Growing up listening to old hip-hop tape-records and jazz music, he started to DJ at the age of 16 and showed his musical talents at an early stage. It wasn't before long or he immersed himself in electronic music in his teens. Mino Abadier is performing as Mino Abadier himself and his alias 'Arabic By Night'. 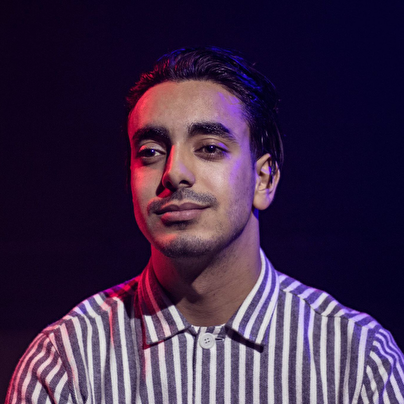 While performing as himself, Mino is digging deep into his record bag and play mesmeric sets that are fully of seductive surprises and groovy gems and offers a tasteful and 360 degree take on electronic music.While performing as 'Arabic By Night, Mino is playing all different gems which are related to his Arabic based background. While his career as a DJ is still in the springtime of its life, his portfolio certainly isn't, with his residencies at 'Cartel Amsterdam' MoManager' 'Red Light Radio' show, as well as spinning at Vrijland Festival, Buiten Westen and Atlas Electronic (Morocco's first electronic festival). Mino also travelled abroad and played at cities in Belgium and Italy.